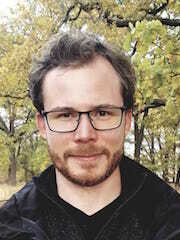 Enrico Ribacki is a PhD student in the International Research Training Group „StRATEGy“ and a staff member of the Mineralogy-Structural Petrology section at the University of Potsdam. He holds a M.Sc degree in Geosciences from the University of Potsdam. His master thesis focused on the native silver mineralization in the northern Kongsberg mining district, Norway. Now, his primary research goal is to investigate the rare earth element (REE) and Sn-Ta-Nb-Li mineralization in granitic Nb-Y-F pegmatites of the San Luis range in NW Argentina. He combines various microanalytical as well as geochemical methods to understand and quantify primary mineralization and secondary processes (e.g. influence of magma composition, fluid-rock-interactions, hydrothermal alteration systems).